Kyocera Mita FS-1030D/Dn is Kyocera’s offering to small businesses and offices that look for an affordable yet increasingly reliable printer. With easy to use functions and pleasing user interface, the Kyocera Mita FS-1030D/Dn is able to give other printers in its class a worthy competition. Low cost ownership, durability and printer longevity are what the Kyocera Mita FS-1030D/Dn offers to consumers, whether they use printers in their homes or at the workplace. The Kyocera Mita FS-1030D/Dn features a standard speed for a monochrome printer, clocking at a speed of 23 pages per minute (ppm), which is easily reliable given the performance of other monochrome printers in the market. The Kyocera Mita FS-1030D/Dn also boasts efficient ranges of resolution, with a fast 1200 mode that translates to 1800 x 600 dots per inch (dpi) value. Other resolution defaults are 600 x 600 dpi, and 2400 x 600 dpi for extra high quality prints. Powered by a 266 MHz PowerPC processor, the Kyocera Mita FS-1030D/Dn is able to deliver impressively on these marketed speed and resolutions. It also possesses a standard 32 MB memory that can be upgraded to 288 MB via a 100-pin DIMMs CF card. An option to increase its memory enables the Kyocera Mita FS-1030D/Dn to also increase significantly its performance and efficiency in producing fast, high quality prints. Operating system platform support is versatile, with the Kyocera Mita FS-1030D/Dn able to handle Windows, MAC, Linux and even Novell OS platforms and their different distributions. 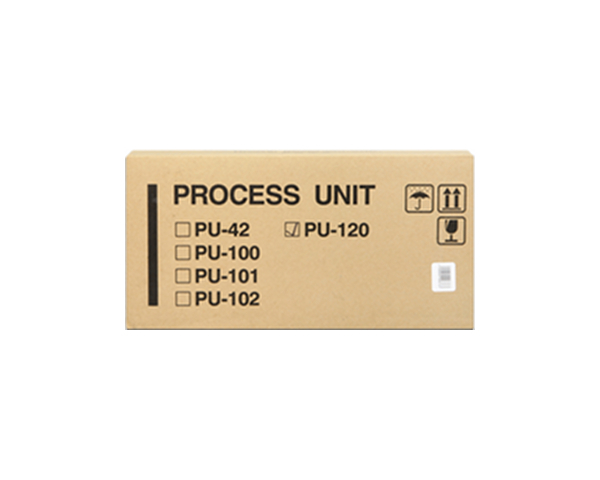 Interface include support for standard IEEE parallel and high-speed USB 2.0, with network connectivity featuring an optional IB-11 serial interface, with the 10/100BaseTX Network Interface a standard feature in the Kyocera Mita FS-1030Dn. Protocol support one the other hand feature TCP/IP, IPX/SPX, AppleTalk and NetBEUI. 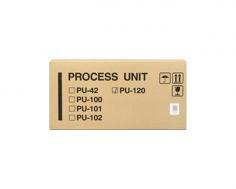 Duplex printing is also available for the Kyocera Mita FS-1030D/Dn, clocking at a decent speed of 12 ppm. For the network-capable version of the Kyocera Mita FS-1030D/Dn, its KM-NET viewer is easily its most unique feature. This allows a simple remote monitoring of the printer’s function and performance, quite nifty and indispensible especially for users who prefer such configuration, and certainly allows for minimal physical supervision and effectively saves time. 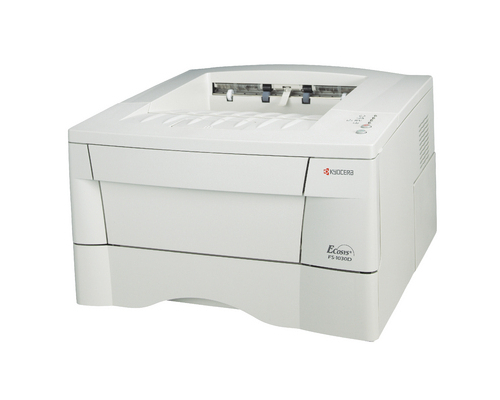 The Kyocera Mita FS-1030D/Dn also is designed for a compact office or home space, given the printers dimension and relative light weight. The printer’s dimension registers at 14.9"W x 14.8"D x 9.3"H and weighs 23.2 lbs., making the Kyocera Mita FS-1030D/Dn an easy printer to be moved around the office to maximize space saving efforts and reduce unnecessary clutter. As a home and small office/business monochrome printer, the Kyocera Mita FS-1030D/Dn is able to deliver impressively; however, this monochrome printer needs to improve on its paper handling capability and versatility to be fully competitive with the other printers in its class. For its paper handling capacity, the Kyocera Mita FS-1030D/Dn only has a maximum of 550 sheets, a statistic that may prove to be lacking even for a small office/business, especially for a medium-sized outfit. The Kyocera Mita FS-1030D/Dn is not built for moderate to high volume print production, at least for steady and continuous high volume production. Its paper size handling is also not that impressive, being limited to only handful paper configurations, even for its built-in duplex unit. The Kyocera Mita FS-1030D/Dn’s duplex unit is not compatible to special media types, being limited only to 8.5" x 11", 8.5" x 14" and A4 types. Review it: "Kyocera Mita FS-1030D "
The Kyocera employs its patented ECOSYS technology for its line of printers and the Kyocera Mita FS-1030D/Dn is no exception. With this technology, the Kyocera Mita FS-1030D/Dn enables users to have low cost prints and long-lasting consumables, thus lowering overall cost of ownership. The Kyocera Mita FS-1030D/Dn ships with a standard toner cartridge capable of producing 3,600 pages on 5% coverage, which should be sufficient for home users. 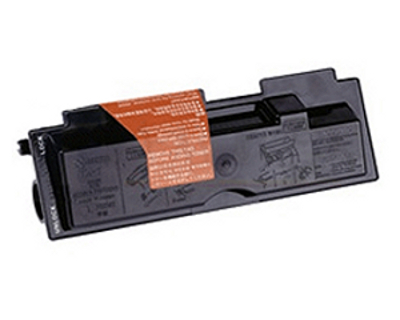 For high yielding production needs, the Kyocera Mita FS-1030D/Dn has a 7,200-yield replacement toner cartridge, with a maximum duty cycle of 25,000 pages on a monthly basis.